Our next destination was Punakha valley 75 km away from Thimpu. We felt a little sad to leave Thimpu behind, as we had developed a little bit of attachment to this quiet city during the last two days. 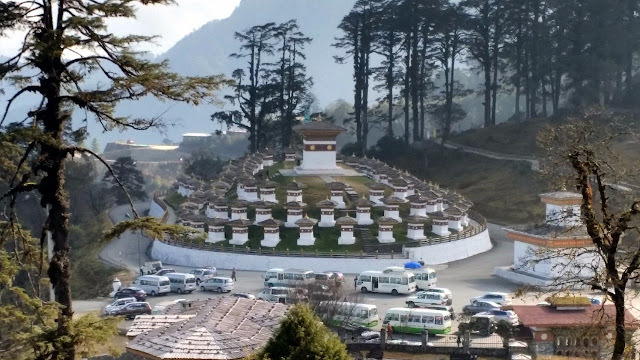 Karma, our driver assured us that Punakha is one of the most beautiful places in Bhutan, and the journey through Dochula Pass will be very interesting. 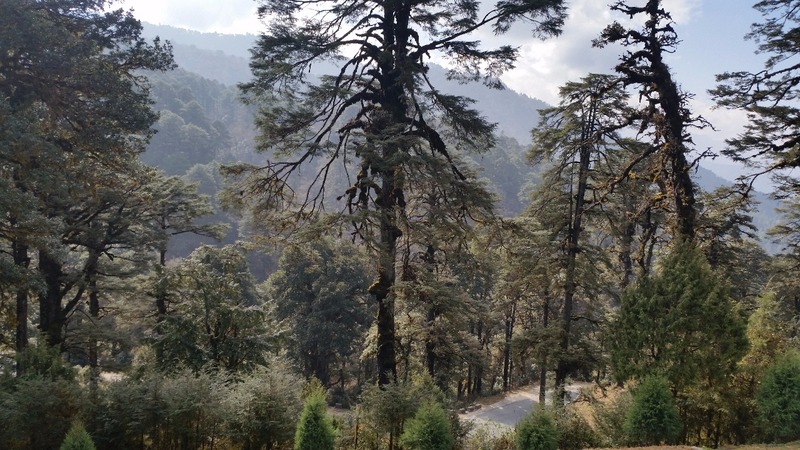 The road to Punakha passes through a forest known as the Royal Botanical Park, at Lamperi. The park is known for multiple species of rhododendrons. It is a steep climb through the park as we gain 1500 metres in no time to reach Dochula Pass. The pass which stands between Thimpu and Punakha valleys is at an elevation of around 12,000 feet. There are three main attractions at Dochula – the first being viewing the snow-clad peaks of Jigme Singye Himalayan Range. While proceeding to Punakha, we had a cloud cover, so could not see the peaks, but on return from Punakha to Paro, the peaks were visible. 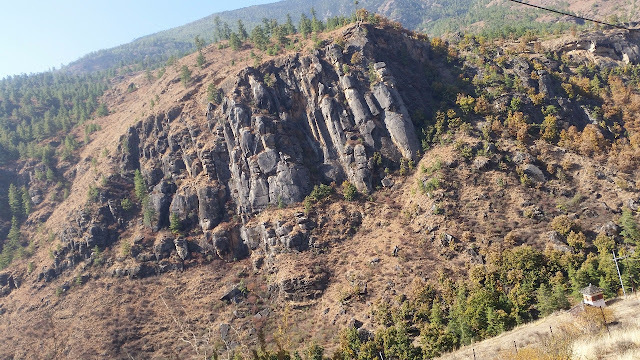 The second attraction here is the 108 Druk Wangyal Chortens. The 108 chortens were built in memory of soldiers who lost their lives fighting Assamese insurgents about fifteen years ago. 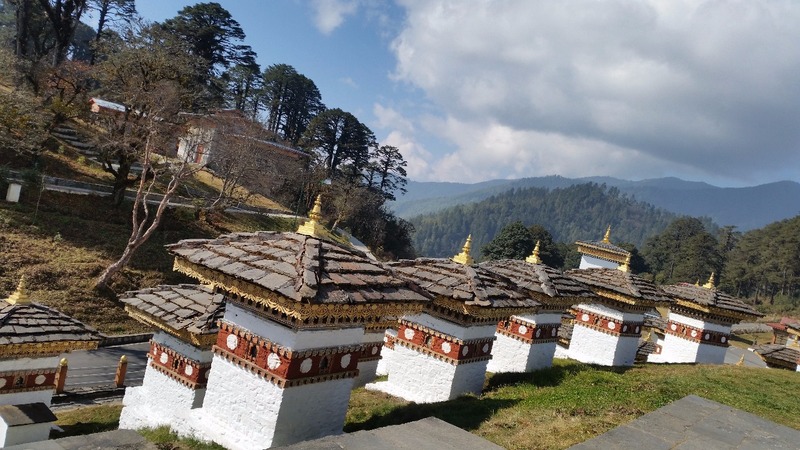 From the chortens, you get a nice view of the third, the Druk Namgyal Lakhang monastery bang opposite, and also of the valley below. 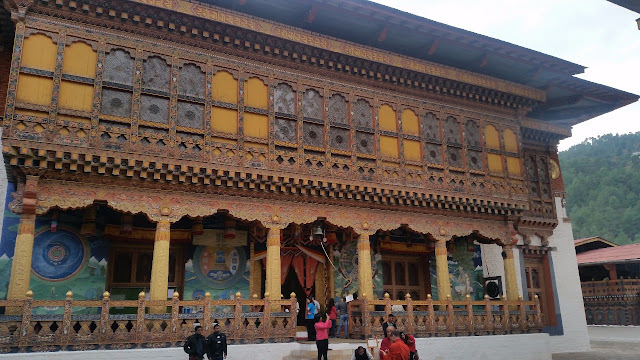 This temple was built to celebrate 100 years of Bhutanese monarchy. Dochula Pass also houses a coffee shop very near the view point for the peaks. A handicrafts shop is also there. 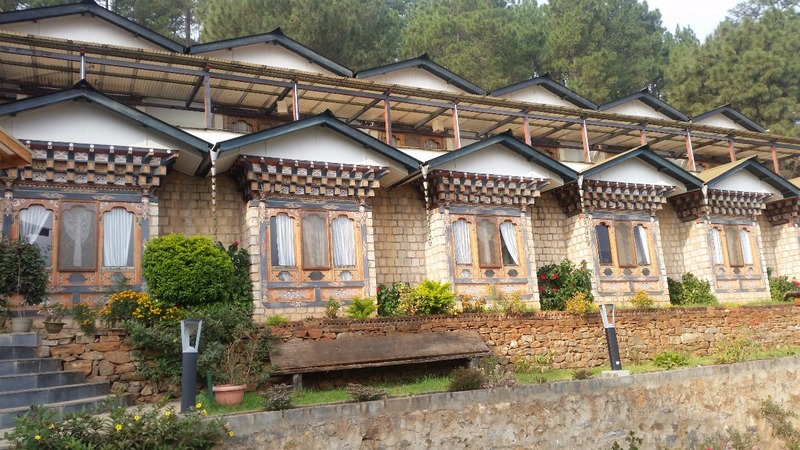 It is a nice place to spend an hour before proceeding towards Punakha. 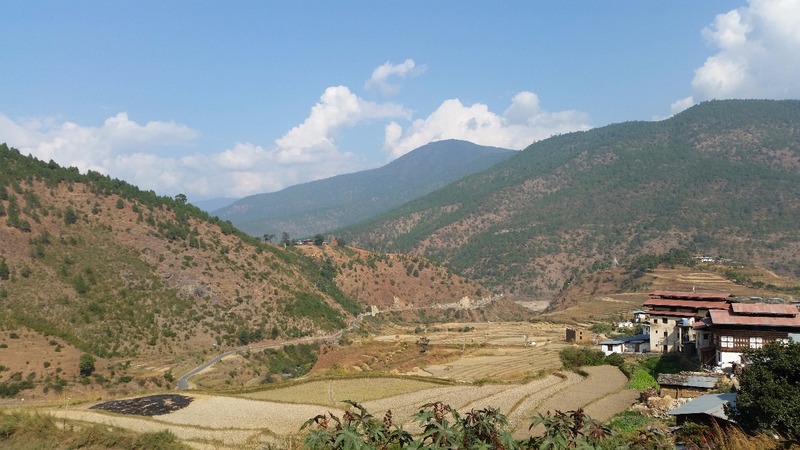 After Dochula, the road descends to Punakha valley. Near the town of Khuruthang, one can locate the blue waters of the Punakha river (or Puna Tsang Chu as it is known locally) running parallel to the road. This is when we decided to stop for lunch. 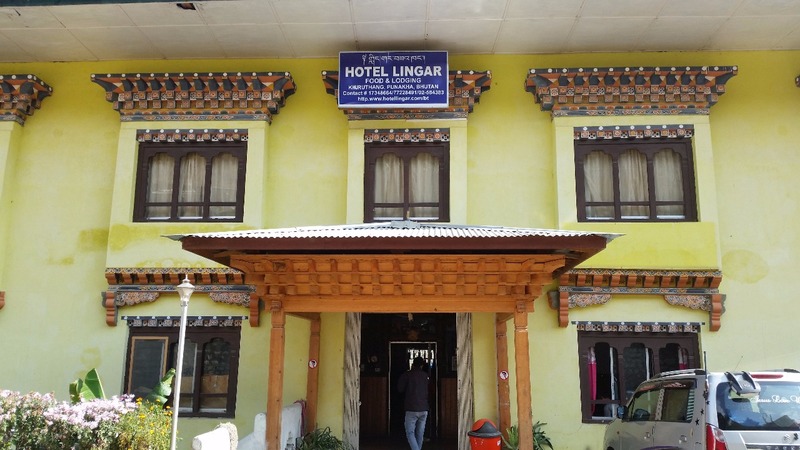 Hotel Lingar has a restaurant on their ground floor. The balcony provides a breathtaking view of Puna Tsang Chu river. 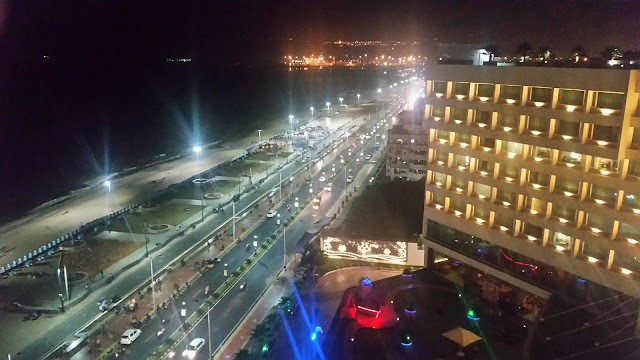 After ordering our food, we spent most of our time on the balcony gazing at the scenic beauty. Lingar may be a good budget place to stay a night if you can spare the time. Here we were introduced to the Bhutanese curry Maru. We tried Norsha Maru, boneless pieces of beef in a light gravy which goes well with red rice. In Bhutan, killing animals is banned in line with Buddhist philosophy and all meat is imported. Though I was told that unofficial abattoirs within the country do brisk business especially in beef and pork. Chicken is mostly from India, and often not fresh, though Jasha Maru or chicken curry is also a popular dish. 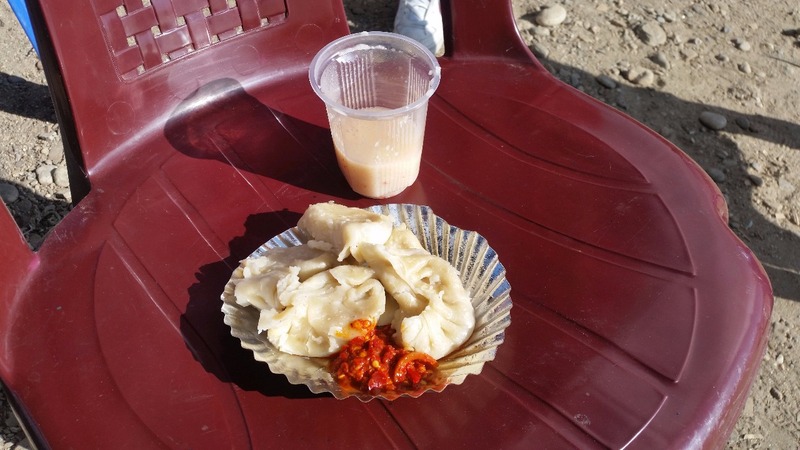 As I had mentioned earlier, in Bhutan each datshi tastes different. 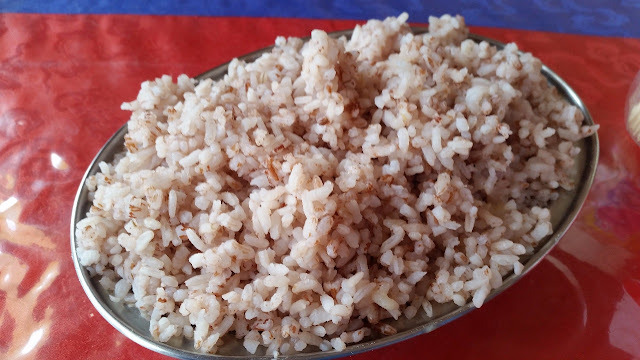 Here we had a preparation with Beans Datshi which had milk along with cheese in it. 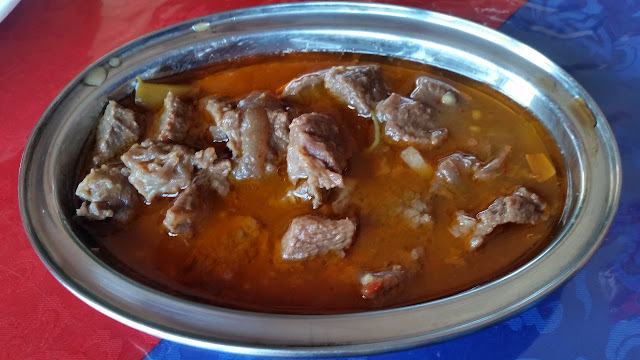 I had been pestering my driver for Yak meat, and he promised to take me to a place in Paro serving this. 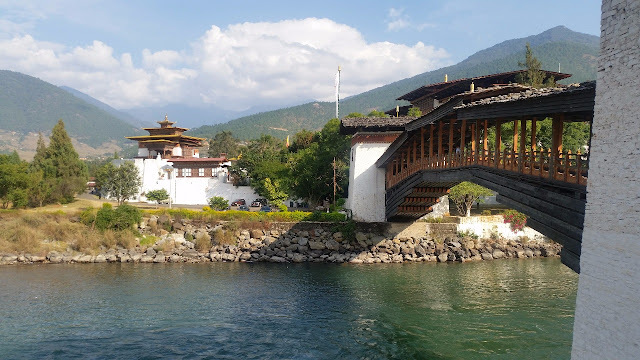 Punakha Dzong is only a few kilometres away from Khuruthang. 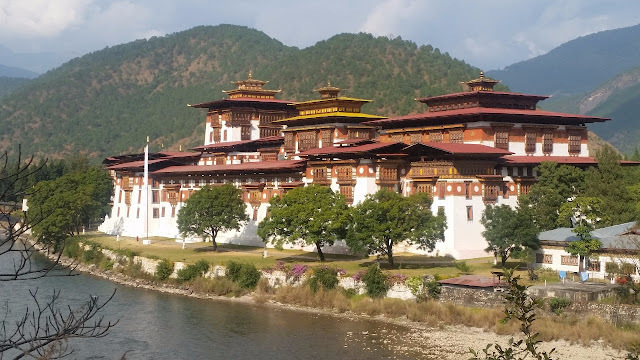 The dzong or fort is now the administrative centre of Punakha district. There are two rivers Pho (male) Chu and Mo (female) Chu that have their confluence near the dzong to form the Puna Tsang Chu. 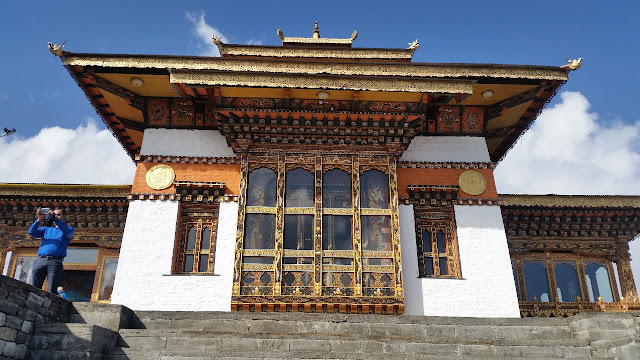 Entry to the dzong is Rs 300, and it is worthwhile as they provide a guide with you. Whereas the first part of the building is for administrative purpose, the monastery here is worth a look. The place serves as a venue for all Royal coronations and weddings. 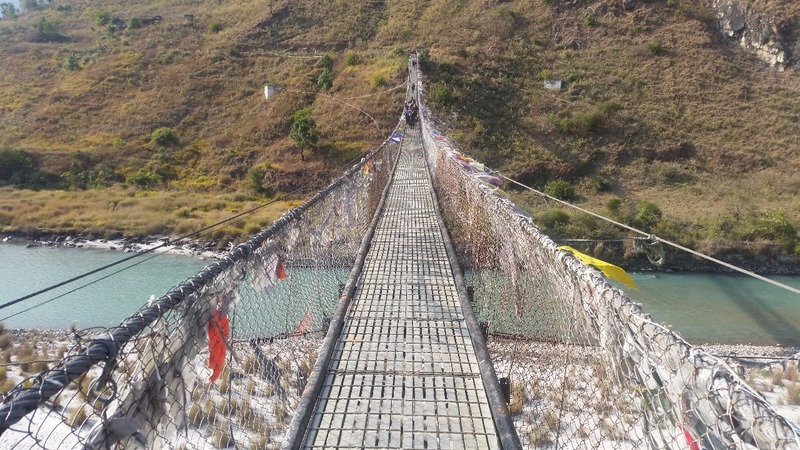 We also visited a suspension bridge a few kilometres away on Mo Chu river. 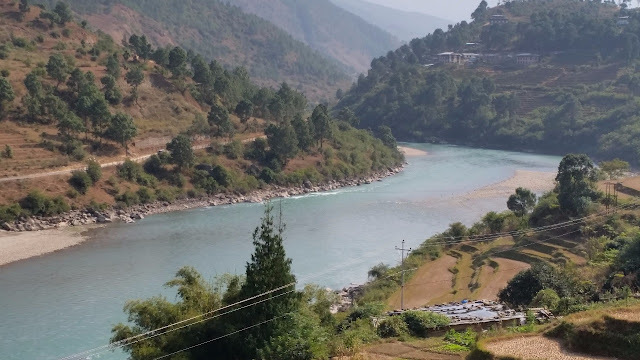 This place is a must-visit for people appreciating scenic beauty, with a grand view of the river passing through the valley with mountains on both sides. 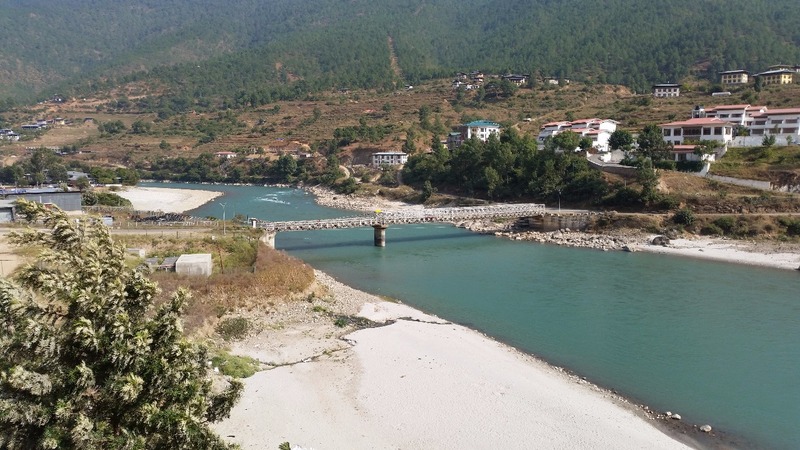 Punakha is only 1200 metres above sea level and only moderately cold. It was the earlier capital of the country till 1955 and is still the winter capital due to its moderate climate. Hotel Vara where we rested for the night was away from the town with a wide view of the entire valley from the room. 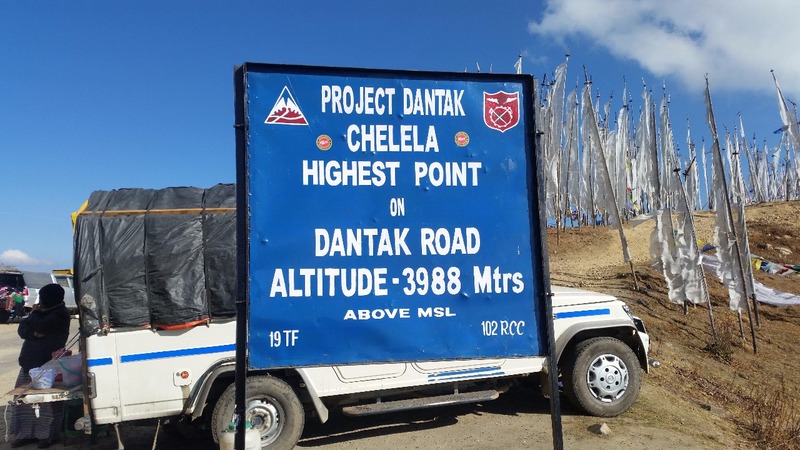 Next morning we have to start early at 8 am as we had planned to visit Che Le la pass, the highest motorable point in Bhutan. 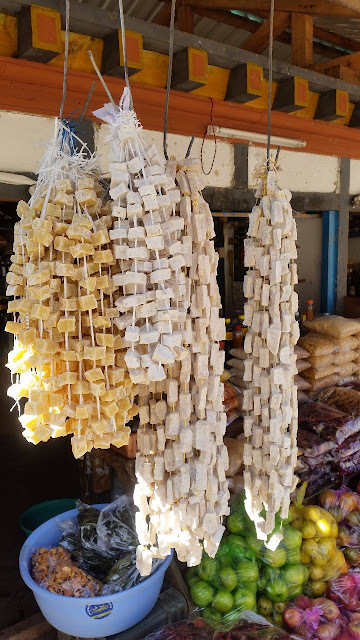 It is a long drive of 170 km, and on the way, we find shops selling dried Yak cheese pieces, locally known as Churgo. There are various varieties available at a low price of Nu 10 per piece, but I find it hard, chewy and tasteless. It seems to be a local favourite for a long journey. 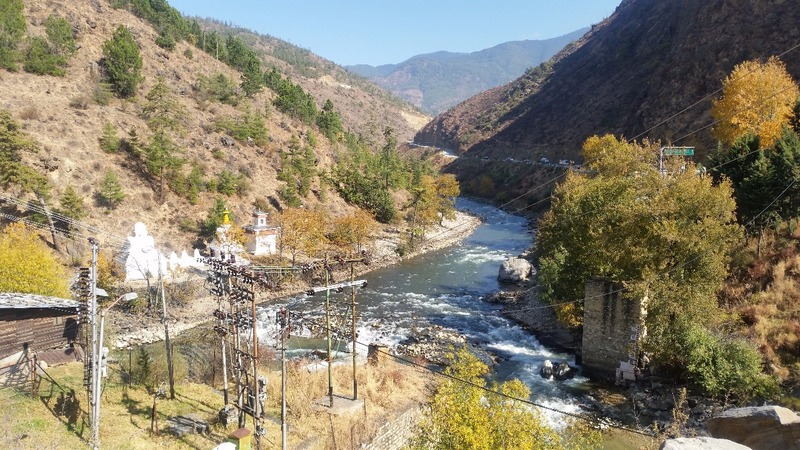 Soon we are at Chuzom, the confluence of Thimpu and Paro river. It is the most important junction of Bhutan with roads leading to Thimpu, Paro, Haa valley and Phuentsholing. Chele La is about 35 km from Paro, the road separates in a place called Bonday a few kilometres from Paro. It is a rapid and breathtaking climb into the mountains through jungles and dangerous hairpin bends. 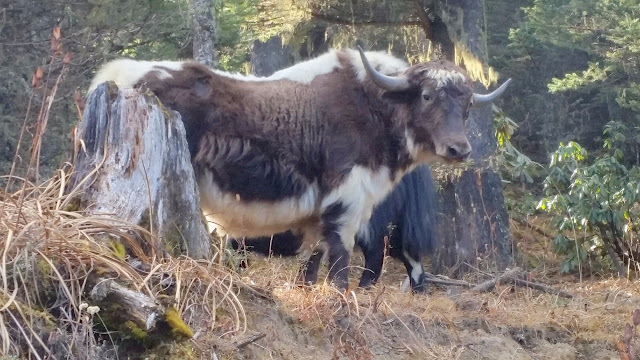 As we approach the 13000 feet pass which separates Paro valley with Haa valley, we come across a group of huge yaks. They were quite friendly coming quite close and a couple of them almost posed for photographs. 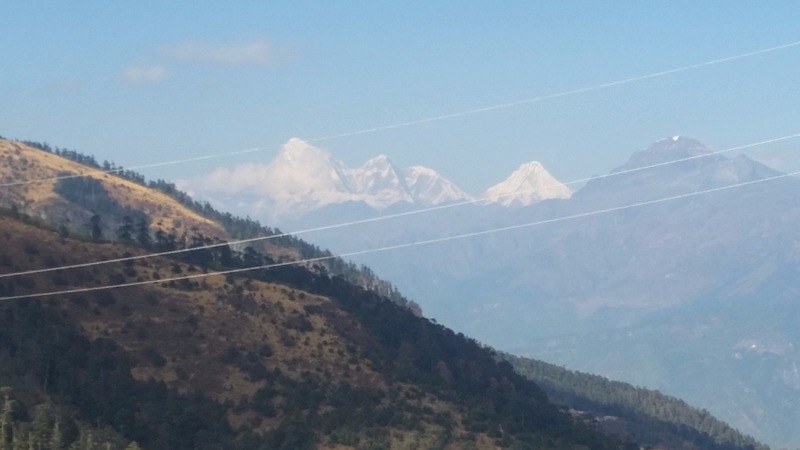 As we reach Chele La pass, we have a breathtaking view of the Bhutan Himalayan range including Jhomolari, the highest peak in Bhutan. 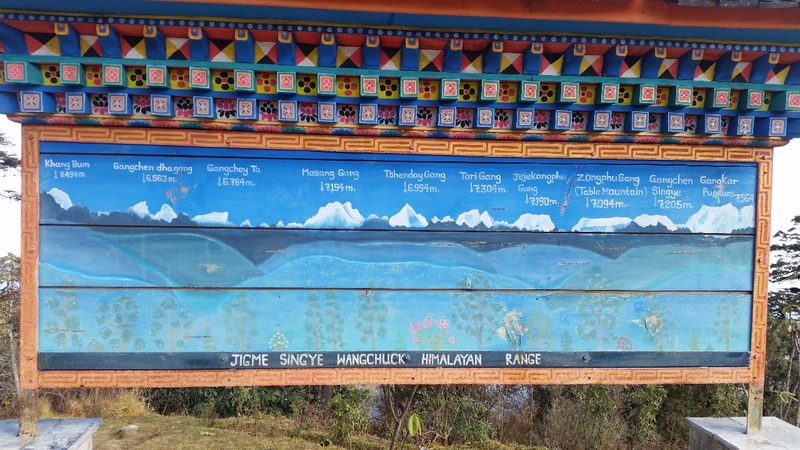 Our driver informs us that Tibet and Sikkim could be viewed from that point. 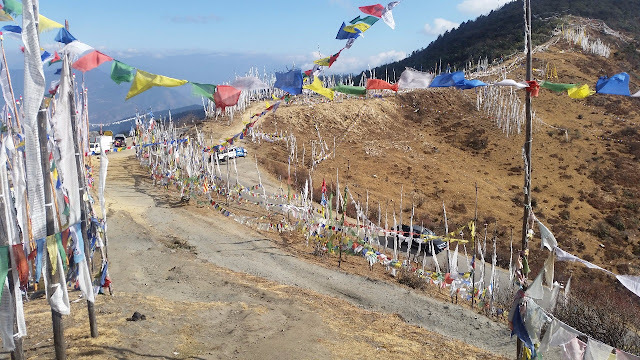 The pass like any other Himalayan passes is adorned with coloured flags with Buddhist scriptures on it. There are a couple of shops there selling tea and snacks. 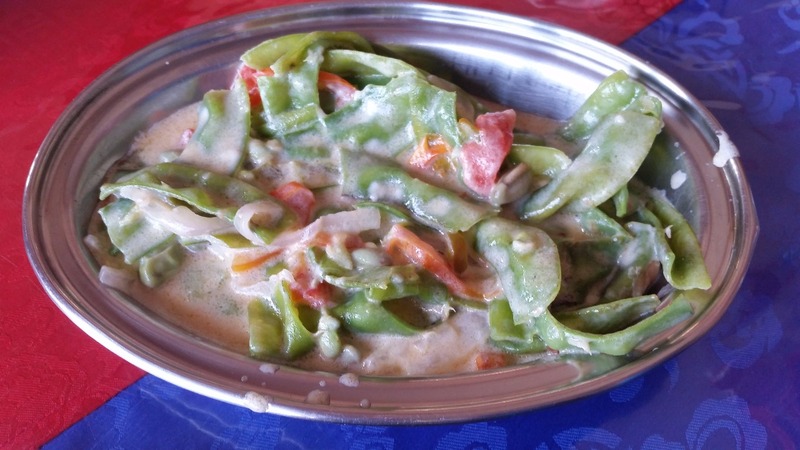 We opt for a Cheese Thukpa, a warm cheese based soup to freshen ourselves. There are some momos to go with it, but they are not particularly tasty. After spending about an hour at the pass, and posing for customary photos there, we start our onward journey to visit Paro.